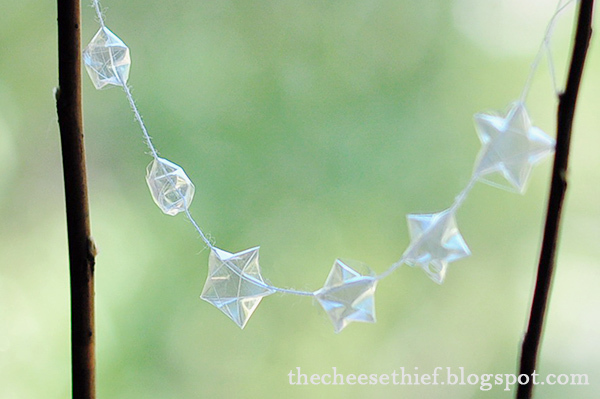 The Cheese Thief watched a tutorial on how to fold paper stars and then used the skill to make these faux glass stars out of cellophane. They would be cute ornaments to hang on your tree, but I love the idea of making this cute garland for a cake or a Christmas pie. Very pretty find today Lorie. I learned to make these in college--with paper. A friend from Hong Kong taught me. She said they call them "Lucky Stars" in HK. Friends would make jars full to give to each other.